Rein Lemberpuu – a man who needs no further introduction. Though if you do – he is one of the Tartu startup community builders and an active Estonian startup community leader, one of the founders of sTARTUp Day, founder and CEO of .Contriber and president of Estonian Business Angels Network. Also, several new coworking spaces have been set up in Tartu – sTARTUp HUB and SPARK HUB. Right now, he’s focused on launching Founders Psychology mentoring program .Cocoon. The aim of this program is to show leaders, how their company’s challenges and problems are connected with their personal behaviours, patterns, thoughts, and views. Rein says it’s important because through changing your personal mindset and behaviour patterns you can get a fresh breath of air for your company as well. The biggest challenge for him is time – as it is for many other entrepreneurs. 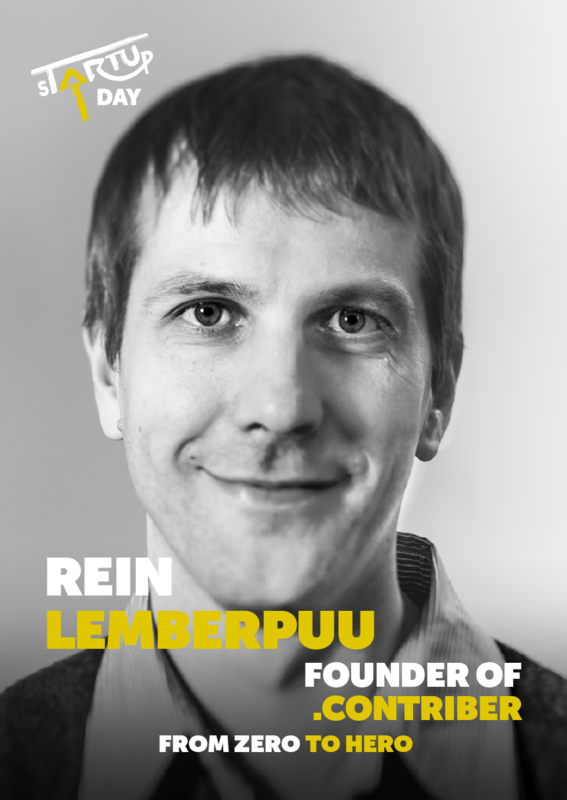 “You have to create a program vision, business model, format and approaches, find the best mentors in the world and reach all European startup entrepreneurs, who are interested in self-development – all at the same time,” says Lemberpuu. How did you become an entrepreneur – was it a natural course of life or a well thought out & deliberate step? For me, it has been quite a natural course of life, where one step leads to the next one. I didn’t understand that I’m actually an entrepreneur for a long time. But suddenly I was 26 years old and discovered I had created eight companies. From there on this got more interesting and a deliberately chosen path. What have been the most memorable lessons for you as an entrepreneur? I get so many of these lessons every year, so it’s hard to bring out something specific. But actually, this side of entrepreneurship is the one I’m drawn to the most. This brings out your hidden potential. What amazes me about it is that as I gain more life experience, I start to see my previous experiences in a versatile way. I thought I’d learned one thing but later on, I realize that the lesson was about something else and as more time passes I see it in a different way again. It’s inspiring for me when people around me change their perception and they start seeing doors instead of walls. What are the biggest challenges of being a leader? You often have to work on balancing the opposites. From one side, you have to maintain the bigger vision and sight in the future but on the other hand, you have to be in the moment and offer practical steps to materialize your vision. You have to make choices to balance speed and quality. You have to take available information and experiences into account, but be open to new and unknown. Despite the hardships, a leader can never lose hope and become doubtful and helpless. In a sense, you’re always alone. If you feel good, your team is with you in good and bad, if you feel bad, others are unmotivated as well. This type of responsibility is a big challenge. How to keep yourself motivated and stay happy while working? In my experience, you need two components. Firstly, you need to know what do you want out of life and to build your company in accordance with this. No achievement helps if you find out later on that the gained experience doesn’t resonate with the life experience you wished to have. So, in other words, you have to have your heart in your undertakings. Secondly, you need to develop the ability to enjoy your journey. If your daily activities make you happy and bring you peace, then victories and losses become less important. Perception changes. There isn’t a thing more exciting than to experience new sides of life and yourself. In that area, life is an endless discovery field. It’s also inspiring for me when people around me change their perception and they start seeing doors instead of walls. This gives new power and opportunities to use this. No achievement helps if you find out later on that the gained experience doesn’t resonate with the life experience you wished to have. I prefer to look excitement from the present because expectations about the future can arise easily. Expectations turn into preconditions too easily and preconditions lead to disappointments. So I’m excited about creating the mentorship program mentioned before and polishing Tartu’s ecosystem with the help of it, to make another unique facet visible to the world. I believe that we have a uniqueness here the world needs.